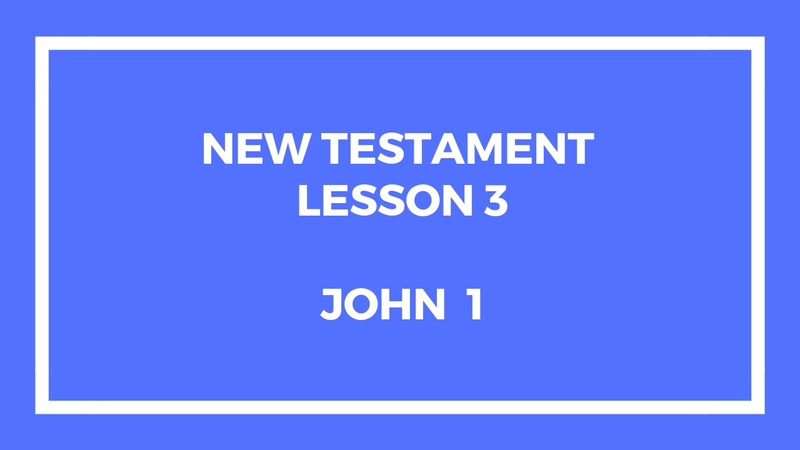 This lesson is about John Chapter 1. We’ve all read this before. In the beginning was the Word. Jesus Christ is the Word. Perhaps the most important thing you should be reading along here is D&C 93. This should provide you with some very deep insight. This is the third lesson in the New Testament under the Come Follow Me manual. This entry was posted in Gospel Doctrine Helps and tagged come follow me, gospel doctrine, gospel doctrine class, John 1, New Testament, new testament lesson 3 on January 17, 2019 by admin.